Buy One Pair of Glasses and Get Your Second Pair of Frames Free! We are passionate about quality frames, and are excited to announce a special promotion we’re offering: Buy One Pair of Glasses and Get Your Second Pair of Frames Free! With this promotion you can get a free frame of equal or lesser value than the purchased frame. It can be used on all of our frames including popular designer brands such as Ray-Ban, Kate Spade, Guess, Modo, and many more! Pick out a pair of every-day glasses and then use your bonus pair for sunglasses, or grab a second pair to switch up your style from day to day. Go formal, casual, or funky—have fun with it! Our welcoming staff are trained to help you find the best fit and optimal pair of glasses for your needs. You can expect warm smiles, and knowledgeable assistance every step of the way. 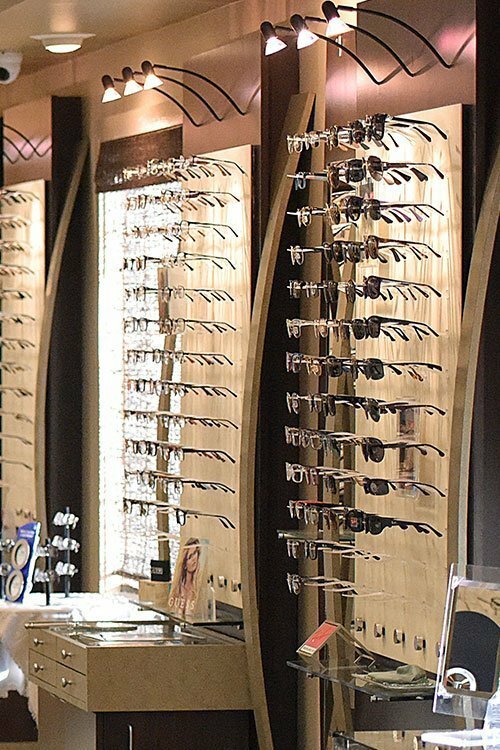 We’re here to make sure you find the perfect pair of glasses and that you have a wonderful experience while browsing. Once you’ve made your selection you’ll feel great knowing you’ve got a brand new pair of designer eyewear coming from Lifetime EyeCare. We’ll reach out to you and let you know when your glasses are ready for pickup. If you’re on social we’d love to see you sporting your stylish look. Tag us on Facebook or Instagram! Previous PostPrevious Why schedule an eye exam? Next PostNext Browse Frames From the Comfort of Home!